The day has finally come! 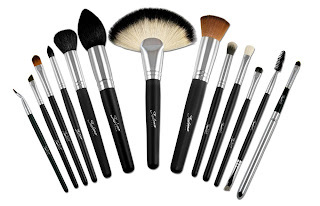 Today i'll be announcing the winners to my huge Sedona Lace Vortex Brush Collection Giveaway! Thank you to everyone for all your support for making my dream come true in designing this brush collection. There are four lucky winners who will win the entire 14 piece brush set along with the brush belt. Twitter Winner: Follow me and Sedona Lace on Twitter today. I'll be hosting the Twitter Giveaway at 8pm EST today! The winners must email me by Wednesday at Midnight EST to claim their prize or it goes to someone else! Congratulations to everyone! If you're interested in the brush set you can find them at www.sedonalace.com. Use code renren for $4.00 any order from Sedona Lace. Following both on Twitter!! Crossing my fingers!